New Hope Uganda Ministries believes the way an organization handles its finances reflects its integrity and dependability in every arena. As a result, we have principles and policies that guide the way we fundraise and handle our finances. New Hope Uganda Ministries, Inc. is incorporated in California and is an IRS-registered 501(c)3 non-profit in South Dakota. New Hope Uganda is a registered NGO in Uganda. We both undergo annual independent financial audits and work in partnership to operate under the strictest of financial guidelines. 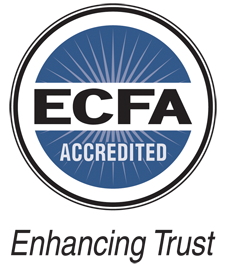 NHUM is accredited by ECFA and certified by Independent Charities of America. Most recent NHUM (USA) 2017 990 & audit.